In case you missed it, last Friday was National Donut Day. A day we happily celebrate! We got a late start to the morning and hit up our favorite donut shops only to find they were out of donuts. Clearly, we weren't the only people celebrating this day. So, we made our way to shop number 3 and found a few donuts remaining. One of which was a chocolate-chocolate cake donut with purple sprinkles! 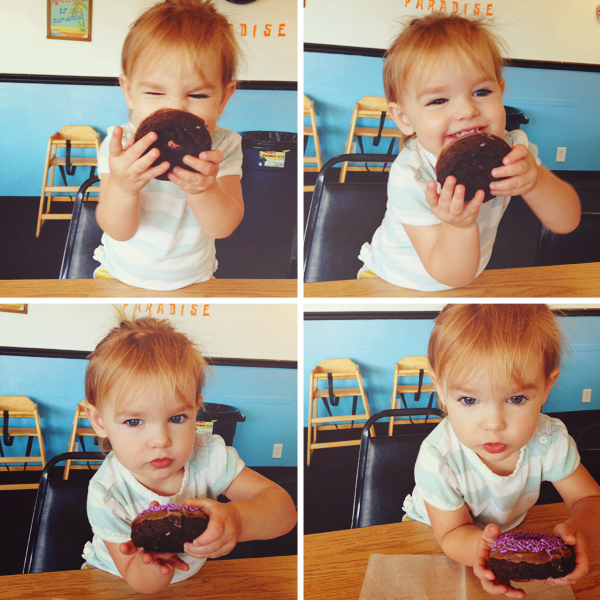 Sweet P shares my love for donuts and I asked her to show off her special treat. We ate our donuts and returned home for some fun. But we still had plans to continue celebrating. While the girls were napping, I got to work. The day before we harvested some zucchinis from the garden so I decided to add one to my banana bread recipe and make some banana-zucchini donuts. Healthy. Right? 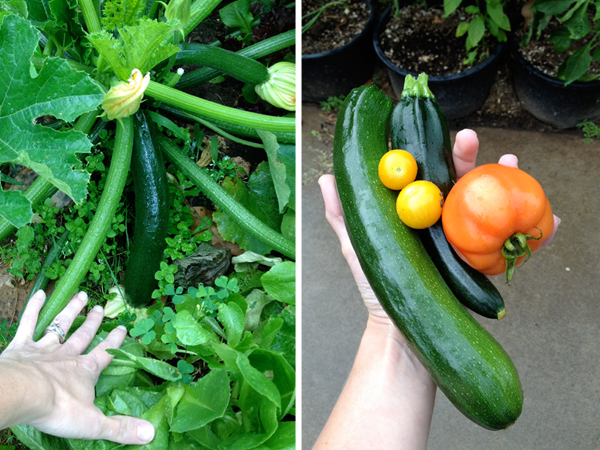 They were a big hit and you couldn't even taste the zucchini. Not that I would have minded because I really like zucchini bread. Anyway, if you want to make some, here's the recipe I use. 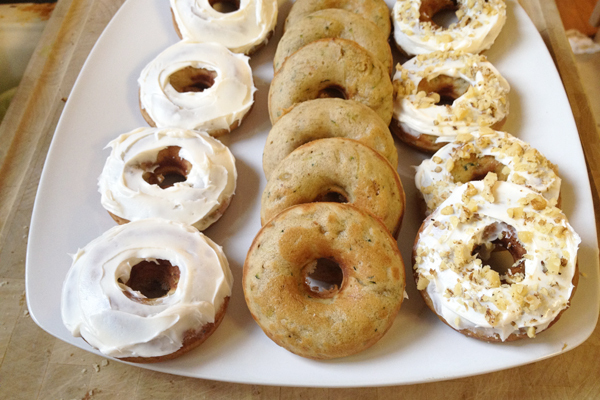 You could probably make these even healthier by substituting applesauce for the butter, something I plan on trying the next time I make these, but it was national donut day and there was no skimping on butter. 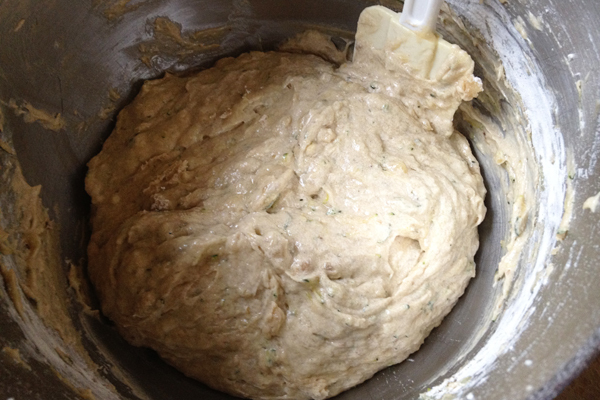 With a counter top mixer, cream the sugars and butter. 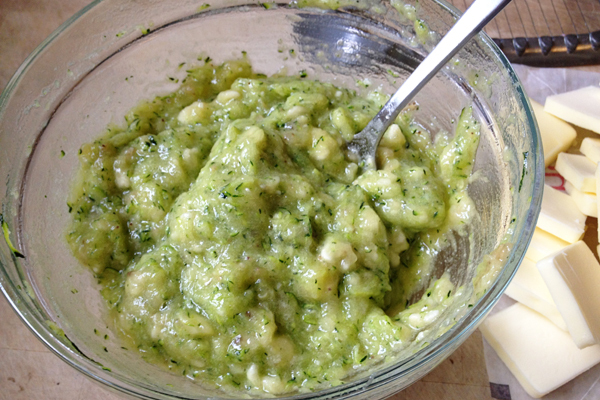 In a separate medium bowl, combine the bananas, zucchini and egg. Add that to the creamed sugar and mix on low until combined. 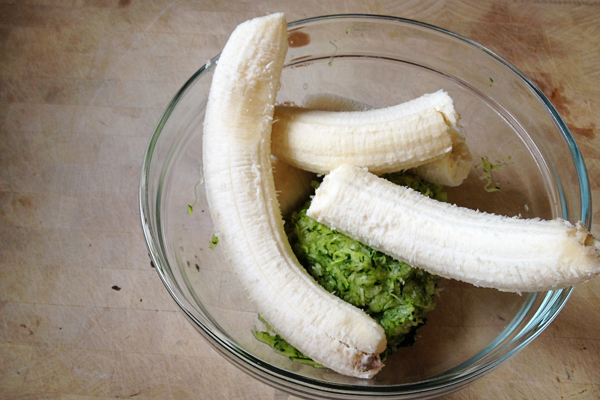 In another medium bowl, sift the remaining dry ingredients together and add it to the sugars and banana-zucchini mixture. Mix until just combined. 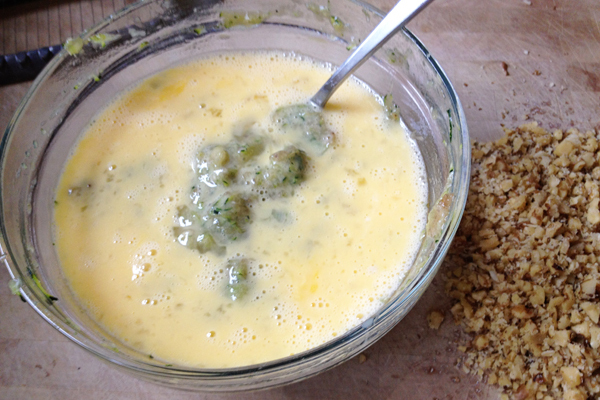 If you're using nuts, add those and mix a little more. You can either make muffins or use a donut pan to make the donuts like I did. For the donuts, I scooped the batter into a freezer bag, zipped it up and cut a hole in one end. Then you just fill the donut mold with the batter and bake until golden brown. Let then cool and enjoy. OR take it to the next level, thus making them less healthy and top them with cream cheese frosting and some more chopped walnuts. Mine has gotten a lot of good use. 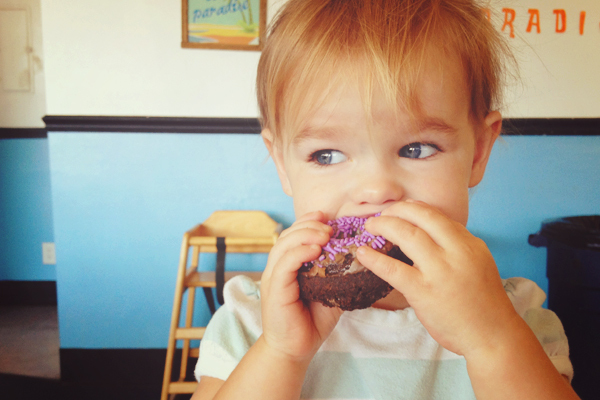 P won't eat muffins but she'll eat the same thing in a donut shape! 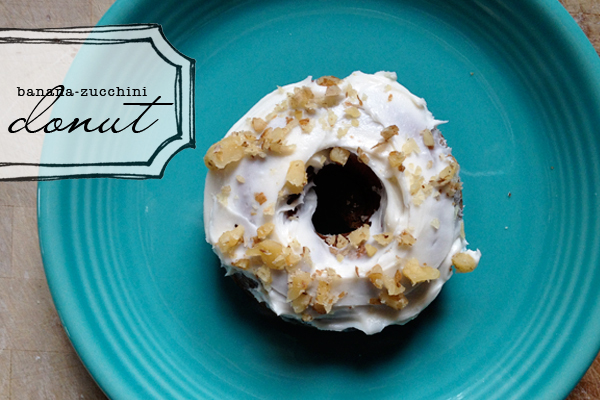 I'm eager to try this new donut recipe with my 2 year old! Have any suggestions for those of us who don't have a donut mold? 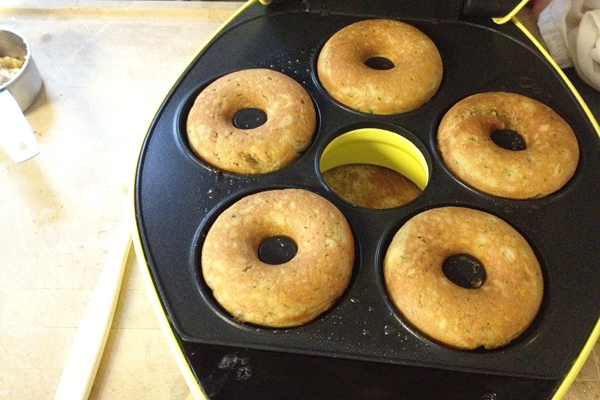 If you don't have a donut pan you cacn just use a muffin tin or mini-muffin tin. Bake at the temp and time for regular muffins. Let me know how your 2 year old likes them. Thanks for sharing your delicious recipes. We did it - kind of!